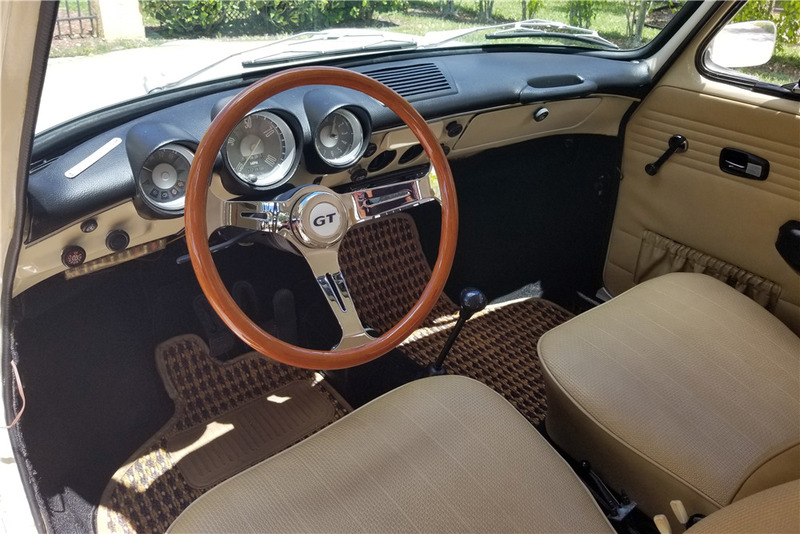 This two-owner, original 1971 VW Type 3 Squareback is well-documented and includes its original Window Sticker, original sales contract from the California VW dealer, original owner’s manual, and its original warranty and maintenance booklet. In 2009 it was stripped down to be sent out for fresh paint and reassembled. An engine rebuild was performed around the same time as paint; all receipts are included. It features new tires, front disc brakes, a fuel-injected 1600cc 4-cylinder engine, 4-speed manual transmission and an Alpine stereo. This Squareback won First Place in its class at the 2018 Bug Jam.